When normal cells undergo a transformation that causes them to grow abnormally and multiply without control, they can form a mass or tumor that differs from the surrounding tissues from which it arises. These tumors are classified as benign (non-cancerous) or malignant (cancerous). A malignant or cancerous tumor takes oxygen, nutrients and space from healthy cells and can invade and destroy the ability of normal tissues to function. All cells in the body contain the genetic material called deoxyribonucleic acid (DNA). A cancer begins with an error, or mutation, in a cell’s DNA. DNA mutations can be caused by the normal aging process or through environmental factors, such as cigarette smoke, breathing in asbestos fibers, and exposure to radon gas. The majority of tumors that arise in the lung are malignant. Lung cancer is classified histologically (based on cell size and shape) into Small Cell Lung Cancer (SCLC) and Non-Small Cell Lung Cancer (NSCLC); an important distinction as treatment approach and prognosis (outlook) vary. NSCLC is further classified, and the 3 main subtypes are: Adenocarcinoma, Squamous Cell Carcinoma and Large Cell Carcinoma. Additionally, lung cancer is either primary, meaning that the cancer started in the lungs, or secondary, meaning it started in another part of the body and spread to the lungs. Secondary lung cancer is also known as metastatic lung cancer or lung metastasis. What is the incidence of Lung Cancer? Lung cancer, also referred to as bronchogenic carcinoma, has the highest death rate of any cancer for both men and women in the United States and worldwide. In the United States, there are more deaths due to lung cancer than due to the three most common cancers (colon, breast and prostate) combined. The American Cancer Society estimates approximately 234,030 new cases of lung cancer will be diagnosed in the United States in 2018. Radon is the second leading cause of lung cancer in the U.S. after cigarette smoking. It is an odorless, invisible gas and a natural decay product of uranium. Initially linked to mine workers, currently there is increasing concern of exposure in homes and buildings through soil. Asbestos exposure: in combination with cigarette smoking raises the risk to as much as 50 times. Asbestos is also strongly associated with another cancer known as mesothelioma. Presence of other lung diseases: e. COPD is associated with a four to six times the risk of a nonsmoker for the development of lung cancer even after the effects of concomitant cigarette smoking are excluded. Once a person stops smoking, his or her risk for lung cancer gradually decreases. About 15 years after quitting, the risk for lung cancer decreases to the level of someone who never smoked. Generally, most people with lung cancer don’t have symptoms until the cancer is advanced. As the disease progresses, symptoms like chest pain and shortness of breath are commonly reported. The diagnostic evaluation for lung cancer may start with a chest x-ray done because of current symptoms, or as part of preoperative tests leading to an incidental finding. However, not all abnormalities seen on a chest x-ray are cancers; patients can develop scarring or calcium deposits in the lungs that may look like tumors. Therefore, a CT scan will provide more detailed information and it is the first diagnostic imaging study ordered based on the patient’s history, symptoms and risk factors for lung cancer screening. A PET SCAN, uses fluorodeoxyglucose (FDG) injected into the body to illuminate metabolically active cells, and it may be ordered as the next step in the work-up of a suspicion of cancer. This test can provide more information regarding the abnormality in the lung itself, but also assess the presence or absence of distant metastases. It is an important tool for the staging of cancer. Sputum test: thick mucus produced during a cough is sent for cell analysis (cytology); however it is the least reliable and if negative usually needs to be confirmed by further testing. Bronchoscopy: a thin flexible lighted tube with a tiny camera (bronchoscope) and surgical instrument is inserted through the mouth or nose, down the windpipe (trachea) and into the airways (bronchi) of the lung. CT-guided needle biopsy (fine needle aspiration/core needle biopsy): a needle is inserted through the chest wall and into the tumor using CT guidance. It is most effective for peripheral lesions. There is a risk of puncturing the lung and causing an air leak (pneumothorax), and/or bleeding. It can be nondiagnostic. Endobronchial ultrasound-guided transbronchial needle aspiration (EBUS-TBNA): uses ultrasound along with a bronchoscope to visualize the airway wall and structures adjacent to it. It is indicated for sampling of mediastinal and hilar lymph nodes and central tumors. Electromagnetic Navigation Bronchoscopy: utilizes electromagnetic technology; improved diagnostic yield of bronchoscopy of peripheral lesions. Mediastinoscopy: a small incision is made into the lower part of the neck above the breastbone (sternum) and a mediastinoscope (similar to a bronchoscope) is inserted behind the breastbone to visualize the area of the chest between the lungs (mediastinum). This is a staging procedure that allows for sampling of the mediastinal lymph nodes. Thoracentesis: needle procedure performed similarly to a needle biopsy to sample fluid that has collected in the space surrounding the lung (pleural space). Important procedure for both staging and diagnosis of cancer, as both primary and metastatic lung cancer can cause this fluid accumulation known as a pleural effusion. This procedure is not always diagnostic. Video-Assisted Thoracic Surgery: performed using a small video camera attached to a thoracoscope, which is introduced into the patient’s chest through one of four small incisions; the three remaining incisions serve as entry ports for the surgical instruments necessary to remove as much tissue as is necessary for testing. This surgical procedure is useful for diagnosis, treatment and resection of tumors and treatment of pleural effusions. In SCLC, patients are classified as limited stage (confined to one lung and its regional lymph nodes) or extensive advanced disease. The recommended treatment for limited stage disease is chemotherapy and radiation therapy. For those with extensive advanced disease, chemotherapy alone is the standard treatment. Brain metastases occur in more than half of patients with SCLC; therefore preventive radiation to the brain (prophylactic cranial irradiation, PCI) is often performed. In NSCLC, patients with Stage I, II and IIIA disease are often best served with surgery to remove the tumor if it is amenable to resection and the patient is medically fit to tolerate the procedure. Video-assisted thoracic surgery is a minimally invasive approach where small incisions are made in the chest and a small camera (thoracoscope) is inserted to remove a lobe or section of the lung containing the tumor. After surgery, particularly for Stage II and IIIA disease, patients may receive chemotherapy known as adjuvant chemotherapy for further treatment. For stage III NSCLC, surgery is unable to cure these patients; the recommended treatment is chemotherapy sometimes in conjunction with (high-dose) radiation treatments. In stage IV lung cancer, chemotherapy is typically the standard treatment and radiation is used only as palliative care. Chemotherapy before other treatments, known as Neoadjuvant chemotherapy, is an option that can help decrease the size and extent of the lung tumor so as to make patients candidates for surgical removal. Genetic testing also referred to as molecular profiling or mutation profiling, examines tumor cells for mutations in specific genes that may have caused them to become cancerous. This aids in the development of Targeted treatments specific to the patient. Unlike chemotherapy drugs, which cannot tell the difference between normal cells and cancer cells, targeted therapies are designed specifically to attack cancer cells by attaching to or blocking targets that appear on the surfaces of those cells. These targets or biomarkers, specifically in lung Adenocarcinoma, include: Epidermal growth factor receptor (EGFR), Anaplastic lymphoma kinase (ALK), K-ras mutations (KRAS 1), Ros proto-oncogene 1 (ROS-1). Targeted therapy may be used alone or in combination with traditional chemotherapy. A breakthrough treatment option that is recently emerging is Immunotherapy which utilizes the body’s own immune defenses to target cancer cells. Treatments for NSCLC have advanced the furthest. A number of new immune-based treatments have recently been approved, and others are in late-phase trials. They fall into four main categories: Checkpoint inhibitors target molecules that serve as checks and balances in the regulation of immune responses, i.e. PD-1, PD-L1, anti-CTLA-4; Monoclonal antibodies are molecules that target specific tumor antigens (a substance that the immune system sees as being foreign or dangerous); Therapeutic vaccines target shared or tumor-specific antigens; Adoptive T-cell transfer is an approach in which T-cells (a type of white blood cell) are removed from the patient, genetically modified or treated with chemicals to enhance their activity, and re-introduced into the patient with the goal of improving the immune system’s anticancer response. What is the role of VATS in the management of Lung Cancer? Video Assisted Thoracic Surgery (VATS) is a minimally invasive approach to the chest cavity that allows unparalleled access and visualization to the chest without making a large incision. As described above, VATS is performed as part of the diagnosis, staging and treatment of lung cancer. Via VATS, a wedge biopsy of lung tissue can be obtained; a mediastinal lymph node can be sampled to aid in staging; and a segmentectomy, lobectomy or pneumonectomy can be performed for the treatment of resectable tumors. The extent of removal depends on the size of the tumor and its location. As the pioneers of video-assisted thoracic surgery (VATS), our experts have decades of experience in minimally invasive surgical treatment and can provide our patients with helpful information on their conditions. Thoracic Group surgeons work in collaboration with a team of specialists, including oncologists, pulmonologists, radiologists, pathologists and nurse navigators to provide the most comprehensive care. For more information or to schedule an appointment, contact Thoracic Group today. Zappa C, Mousa SA. Non-small cell lung cancer: current treatment and future advances. Transl Lung Cancer Res 2016; 5(3):288-300. Latimer KM, Mott TF. 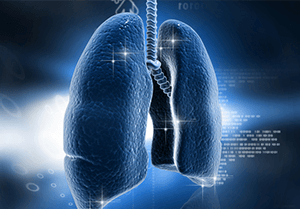 Lung Cancer: Diagnosis, Treatment Principles, and Screening. Am Fam Physician 2015;91(4):250-256. Zamay TN, Zamay GS, Kolovskaya OS, et al. Current and Prospective Protein Biomarkers of Lung Cancer. Cancers. 2017;9(11):155.